This name uses Eastern Slavic naming customs; the patronymic is Abramovich and the family name is Berezovsky. Boris Abramovich Berezovsky (Russian: Бори́с Абра́мович Березо́вский, 23 January 1946 – 23 March 2013) was a Russian business oligarch, government official, engineer and mathematician. He was a member of the Russian Academy of Sciences. Berezovsky was politically opposed to the President of Russia Vladimir Putin, since Putin's election in 2000 and remained a vocal critic of Putin for the rest of his life. In late 2000, after the Russian Deputy Prosecutor General demanded that Berezovsky appear for questioning, he did not return from abroad and moved to the UK, which granted him political asylum in 2003. In Russia he was later convicted in absentia of fraud and embezzlement. The first charges were brought during Primakov's government in 1999. Despite an Interpol Red Notice for Berezovsky's arrest, Russia repeatedly failed to obtain the extradition of Berezovsky from Britain, which became a major point of diplomatic tension between the two countries. Berezovsky made his fortune in Russia in the 1990s when the country went through privatization of state property. He profited from gaining control over various assets, including the country's main television channel, Channel One. In 1997 Forbes magazine estimated Berezovsky's wealth at US$3 billion. He was at the height of his power in the later Yeltsin years, when he was deputy secretary of Russia's security council, a friend of Boris Yeltsin's influential daughter Tatyana, and a member of the Yeltsin "family" (inner circle). Berezovsky helped fund Unity – the political party, which formed Vladimir Putin's parliamentary base, and was elected to the Duma on Putin's slate. However, following the Russian presidential election in March 2000, Berezovsky went into opposition and resigned from the Duma. After he moved to Britain, the government took over his television assets, and he divested from other Russian holdings. In 2012, Berezovsky lost a London High Court case he brought over the ownership of Sibneft against Roman Abramovich, in which he sought over £3 billion in damages. The court judged Berezovsky as an "inherently unreliable" witness, who "regarded truth as a transitory, flexible concept, which could be moulded to suit his current purposes" and that "At times the evidence which he gave was deliberately dishonest; sometimes he was clearly making his evidence up as he went along in response to the perceived difficulty in answering the questions." The court concluded that Berezovsky had never been a co-owner of Sibneft. Berezovsky was found dead at his home, Titness Park, at Sunninghill, near Ascot in Berkshire, on 23 March 2013. A post-mortem examination found that his death was consistent with hanging and that there were no signs of a violent struggle. However the coroner at the inquest into Berezovsky's death later recorded an open verdict. Boris Abramovich Berezovsky was born in 1946, in Moscow, to Abram Markovich Berezovsky (1911–1979), a Jewish civil engineer in construction works, and his wife, Anna Aleksandrovna Gelman (22 November 1923 – 3 September 2013). Berezovsky always stressed his Jewish heritage, although by Jewish law he was not Jewish, as his maternal grandmother was not Jewish. He studied applied mathematics, receiving his doctorate in 1983. After graduating from the Moscow Forestry Engineering Institute in 1968, Berezovsky worked as an engineer, from 1969 till 1987 serving as assistant research officer, research officer and finally the head of a department in the Institute of Control Sciences of the USSR Academy of Sciences. Berezovsky conducted research on optimization and control theory, publishing 16 books and articles between 1975 and 1989. In 1989 Berezovsky took advantage of the opportunities presented by perestroika to found LogoVAZ with Badri Patarkatsishvili and senior managers from AvtoVAZ. LogoVAZ developed software for AvtoVAZ, sold Soviet-made cars and serviced foreign cars. The dealership profited from hyperinflation by taking cars on consignment and paying the producer at a later date when the money lost much of its value. One of Berezovsky's early endeavours was AVVA (All-Russia Automobile Alliance), a venture fund he formed in 1993 with Alexander Voloshin (Boris Yeltsin's future Chief of Staff) and AvtoVAZ Chairman Vladimir Kadannikov. Berezovsky controlled about 30% of the company, which raised nearly US$50 million from small investors through a bonded loan to build a plant producing a "people's car". The project did not collect sufficient funds for the plant and the funds were instead invested into AvtoVAZ production, while the debt to investors was swapped for equity. By 2000 AVVA held about one-third of AvtoVAZ. In 1994 Berezovsky was the target of the car bombing incident, but survived the assassination attempt, in which his driver was killed and he was injured. Alexander Litvinenko led the FSB investigation into the incident and linked the crime to the resistance of the Soviet-era AvtoVaz management to Berezovsky's growing influence in the Russian automobile market. Berezovsky's involvement in the Russian media began in December 1994, when he gained control over ORT Television (see Channel One (Russia)) to replace the failing Soviet Channel 1. He appointed the popular anchorman and producer Vladislav Listyev as CEO of ORT. Three months later Listyev was assassinated amid a fierce struggle for control of advertising sales. Berezovsky was questioned in the police investigation, among many others, but the killers were never found. Under Berezovsky's stewardship, ORT became a major asset of the reformist camp as they prepared to face Communists and nationalists in the upcoming presidential elections. From 1995 to 1997 through the controversial loans-for-shares privatisation auctions (see Privatisation in Russia), Berezovsky and Patarkatsishvili assisted Roman Abramovich in acquiring control of Sibneft, the sixth-largest Russian oil company, which constituted the bulk of his wealth. In an article in The Washington Post in 2000, Berezovsky revealed that the American financier George Soros declined an invitation to participate in the acquisition. In 1995, he played a key role in a management reshuffle at Aeroflot and participated in its corporatization, with his close associate Nikolai Glushkov becoming Aeroflot's CFO. In January 1998 it was announced that Sibneft would merge with Mikhail Khodorkovsky's Yukos to create the third-largest oil company in the world. The merger was abandoned five months later amid falling oil prices. Berezovsky entered the Kremlin's inner circle in 1993 through arranging for the publication of Yeltsin's memoirs and befriended Valentin Yumashev, the President's ghost-writer. In January 1996, at the World Economic Forum at Davos, Berezovsky liaised with fellow oligarchs to form an alliance – which later became known as the "Davos Pact" – to bankroll Boris Yeltsin's campaign in the upcoming presidential elections. On his return to Moscow Berezovsky met and befriended Tatyana Dyachenko, Yeltsin's daughter, According to a later profile by The Guardian, "Berezovsky masterminded the 1996 re-election of Boris Yeltsin... He and his billionaire friends coughed up £140 million for Yeltsin's campaign". In the summer of 1996, Berezovsky had emerged as a key advisor to Yeltsin, allied with Anatoly Chubais, opposing a group of hardliners led by General Alexander Korzhakov. One night in June, in the drawing room of Club Logovaz, Berezovsky, Chubais and others plotted the ouster of Korzhakov and other hardliners. On 20 June 1996, Yeltsin fired Korzhakov and two other hawks, leaving the reformers' team in full control of the Kremlin. Firing them was controversial though, as Korzhakov a few days before caught two of Yeltsin's campaign organizers carrying USD500,000 cash without invoices out of presidential administration building. On 16 June 1996, Yeltsin came first in the first round of elections after forging a tactical alliance with Gen. Alexander Lebed, who finished third. On 3 July, in the runoff vote, he beat the Communist Gennady Zyuganov. His victory was due largely to the support of the TV networks controlled by Gusinsky and Berezovsky (NTV and ORT) and the money from the business elite. The New York Times called Berezovsky the "public spokesman and chief lobbyist for this new elite, which moved from the shadows to respectability in a few short years". In 1999, Alexander Korzhakov repeated allegations that when he was the head of the Kremlin's security service, Boris Berezovsky tried to convince him to murder Moscow Mayor Yuri Luzhkov, popular crooner and Duma deputy Iosif Kobzon, a Luzhkov ally, and media tycoon Vladimir Gusinsky, the founder of Russian TV channel NTV . On 17 October 1996, Yeltsin dismissed General Alexander Lebed from the position of National Security Advisor amid allegations that he was plotting a coup and secretly mustering a private army. Lebed promptly accused Berezovsky and Gusinsky of engineering his ouster, and formed a coalition with the disgraced General Alexander Korzhakov. The dismissal of Lebed, the architect of the Khasavyurt peace accord, left Yeltsin's Chechen policy in limbo. On 30 October 1996, in a political bombshell, Yeltsin named Ivan Rybkin as his new National Security Advisor and appointed Berezovsky Deputy Secretary in charge of Chechnya with a mandate to oversee the implementation of the Khasavyurt Accord: that is, the withdrawal of Russian forces, the negotiation of a peace treaty, and the preparation of a general election. On 19 December 1996, Berezovsky made headlines by negotiating the release of 21 Russian policeman held hostage by the warlord Salman Raduev amid efforts by radicals from both sides to torpedo peace negotiations. On 12 May 1997, Yeltsin and Maskhadov signed the Russian–Chechen Peace Treaty in the Kremlin. Speaking at a press conference in Moscow, Berezovsky outlined his priorities for the economic reconstruction of Chechnya, particularly the construction of a pipeline for transporting Azerbaijani oil. He called upon the Russian business community to contribute to the rebuilding of the republic, revealing his own donation of US$1 million (some sources mention US$2 million) for a cement factory in Grozny. This payment would come to haunt him years later, when he was accused of funding Chechen terrorists. After his dismissal from the Security Council, Berezovsky vowed to continue his activities in Chechnya as a private individual and maintained contact with Chechen warlords. He was instrumental in the release of 69 hostages, including two Britons, Jon James and Camilla Carr, whom he flew in his private jet to RAF Brize Norton in September 1998. In an interview with Thomas de Waal in 2005, he revealed the involvement of the British Ambassador to Russia, Sir Andrew Wood, and explained that his former negotiations counterpart, the Islamic militant leader Movladi Udugov, helped arrange the Britons' release. Berezovsky had a phone conversation with Movladi Udugov in the spring of 1999, six months before the beginning of fighting in Dagestan. A transcript of that conversation was leaked to a Moscow tabloid on 10 September 1999 and appeared to mention the would-be militants' invasion. It has been the subject of much speculation ever since. As Berezovsky explained later in interviews to de Waal and Goldfarb, Udugov proposed to coordinate the Islamists' incursion into Dagestan, so that a limited Russian response would topple the Chechen president Aslan Maskhadov and establish a new Islamic republic, which would be anti-American but friendly to Russia. Berezovsky said that he disliked the idea but reported Udugov's overture to prime-minister Stepashin. "Udugov and Basayev," he asserted, "conspired with Stepashin and Putin to provoke a war to topple Maskhadov ... but the agreement was for the Russian army to stop at the Terek River. However, Putin double-crossed the Chechens and started an all-out war." In March 1997, Berezovsky and Tatyana Dyachenko flew to Nizhniy Novgorod to persuade the city's governor, Boris Nemtsov, to join Chubais' economic team, which became known as the government of Young Reformers. This was the last concerted political action of the "Davos Pact" (see above). Four months later the group split into two cliques fiercely competing for Yeltsin's favour. The clash was precipitated by the privatization auction of the communication utility Svyazinvest, in which Onexim bank of Chubais' loyalist Vladimir Potanin, backed by George Soros, competed with Gusinsky, allied with Spanish Telefónica. An initially commercial dispute swiftly developed into a contest of political wills between Chubais and Berezovsky. Potanin's victory unleashed a bitter media war, in which ORT and NTV accused the Chubais group of fixing the auction in favor of Potanin, whereas Chubais charged Berezovsky with abusing his government position to advance his business interests. Both sides appealed to Yeltsin, who had proclaimed a new era of "fair" privatization "based on strict legislative rules and allowing no deviations". In the end, both sides lost. Berezovsky's media revealed a corrupt scheme whereby a publishing house owned by Onexim Bank paid Chubais and his group hefty advances for a book that was never written. The scandal led to a purge of Chubais' loyalists from the government. Chubais retaliated by persuading Yeltsin to dismiss Boris Berezovsky from the national security council. Berezovsky's service on the Security Council ended on 5 November 1997. Soros called the Berezovsky-Chubais clash a "historical event, in the reality of which I would have never believed, if I had not watched it myself. I saw a fight of the people in the boat floating towards the edge of a waterfall". He argued that the reformist camp never recovered from the wounds sustained in this struggle, setting the political stage for conservative nationalists, and eventually Vladimir Putin. Berezovsky was reportedly the only person who, after the Karmadon Gorge tragedy when an avalanche buried the film crew of the Russian director Sergei Bodrov, immediately allocated a large sum of money for the search for survivors. In 1991, Berezovsky founded the "Triumph" award, bestowed upon outstanding Russian poets, musicians, artists, directors and ballet dancers. In the Spring of 1998, Berezovsky made an unexpected political comeback, starting with his appointment, in April 1998, to the position of executive secretary of the Commonwealth of Independent States. He emerged in the centre of a new informal power group – the "Family", a close-knit circle of advisers around Yeltsin, which included Yeltsin's daughter Tatyana and his chief of staff, Yumashev. It was rumoured that no important government appointment could happen without the Family's support. By 1999, the Family also included two of Berezovsky's associates, his former AVVA partner Alexander Voloshin, who replaced Yumashev as Yeltsin's chief of staff, and Roman Abramovich. The principal concern of the Family was finding an "electable" successor to Yeltsin to counter the presidential aspirations of the then prime minister, Yevgeny Primakov, who was leaning to more statist positions. Political battles between the Family and Primakov's camp dominated the two last years of Yeltsin's presidency. In November 1998, in a televised press conference, five officers of the FSB, led by Lieutenant Colonel Alexander Litvinenko, revealed an alleged plot by their superiors to assassinate Berezovsky. In April 1999 Russia's Prosecutor General, Yury Skuratov, opened an investigation into embezzlement at Aeroflot and issued an arrest warrant for Berezovsky, who called the investigation politically motivated and orchestrated by Primakov. Nikolai Glushkov, Aeroflot's former General Director, later revealed that conflict with Primakov arose from the irritation that Berezovsky's management team caused in the Russian Foreign Intelligence Service, which Primakov headed before becoming prime minister, over firing of thousands of spies, who used Aeroflot as a front organization in Soviet times. The arrest warrant was dropped a week later, after Berezovsky submitted to questioning by the prosecutors. No charges were brought. Yeltsin sacked Primakov's government shortly thereafter and replaced him with Sergey Stepashin as new prime-minister. Vladimir Putin's meteoric rise from relative obscurity to the Russian presidency in the course of a few short months of 1999 has been attributed to his intimacy with the "Family" as a protege of Berezovsky and Yumashev. By the end of 1999 the Family had persuaded Yeltsin to name Putin his political successor and candidate for the presidency. Berezovsky's acquaintance with Putin dated back to the early 1990s, when the latter, as Deputy Mayor of St. Petersburg, helped Logovaz establish a car dealership. They enjoyed friendly relations; on occasion, Berezovsky took Putin skiing with him in Switzerland. In February 1999, when Berezovsky's political standing looked uncertain because of his clash with Primakov over Aeroflot, Putin, then Director of the FSB, made a bold gesture of friendship by showing up at a birthday party for Berezovsky's wife. "I absolutely do not care what Primakov thinks of me", Putin told Berezovsky on that night. That was the beginning of their political alliance. According to the Times, Spanish police discovered that on up to five different occasions in 1999 Putin had secretly visited a villa in Spain belonging to Berezovsky. In mid-July 1999 the Family dispatched Berezovsky to Biarritz, where Putin was vacationing, to persuade him to accept the position of prime minister and the role of heir apparent. On 9 August Yeltsin sacked the government of Sergei Stepashin and appointed Putin prime minister, amid reports that Berezovsky had masterminded the reshuffle. Putin's principal opponents were the former Prime Minister Evgeny Primakov and the Mayor of Moscow Yuri Luzhkov, backed by the Fatherland-All Russia alliance. To counter this group in the Duma elections of 1999, Berezovsky was instrumental in the creation, within the space of a few months, of the Unity party, with no ideology other than its support for Putin. Later he disclosed that the source of Unity's funding, with Putin's knowledge and consent, was Aeroflot. In the 1999 election Berezovsky campaigned as a Putin loyalist and won a seat in the Duma, representing the North Caucasian republic of Karachaevo-Cherkessia. During the Duma election campaign Berezovsky's ORT TV served as an extremely effective propaganda machine for the Putin camp, using aggressive attack reporting and programming to denigrate and ridicule Putin's rivals, Primakov and Luzhkov, tactics strongly criticized as undue interference with the media. But Unity got a surprisingly high score in the elections, paving the way for Putin's election victory in spring 2000. Berezovsky's disagreements with Putin became public three weeks into Putin's presidency. On 8 May 2000 Berezovsky and Abramovich were spotted together at Putin's invitation-only inauguration ball in Moscow. But on 31 May Berezovsky sharply attacked the constitutional reform proposed by the president, which would give the Kremlin the right to dismiss elected governors. In an open letter to Putin published in Kommersant Berezovsky, then a Duma deputy, said that he would be obliged to vote against the president's legislative project, which was "directed toward changing the state's structure" and represented a "threat to Russia's territorial integrity and democracy." On 17 July, Berezovsky resigned from the Duma, saying he "did not want to be involved in the country's ruin and the restoration of an authoritarian regime". In August Berezovsky's media attacked Putin for the way he handled the sinking of the Kursk submarine, blaming the death of 118 sailors on the Kremlin's reluctance to accept foreign help. In September, Berezovsky alleged that the Kremlin had attempted to expropriate his shares in ORT and announced that he would put his stake into a trust to be controlled by prominent intellectuals. In an article in The Washington Post in 2000, Berezovsky argued that in the absence of a strong civil society and middle class it may sometimes be necessary for capitalists "to interfere directly in the political process" of Russia as a counterweight to ex-Communists "who hate democracy and dream of regaining lost positions." Berezovsky took legal action against the journalist Paul Klebnikov, who accused him of various crimes. In October, in an interview in Le Figaro, Putin announced that he would no longer tolerate criticism of the government by media controlled by the oligarchs. "If necessary we will destroy those instruments that allow this blackmail", he declared. Responding to a question about Berezovsky, he warned that he had a "cudgel" in store for him. "The state has a cudgel in its hands that you use to hit just once, but on the head. We haven't used this cudgel yet. We've just brandished it... [But] the day we get really angry, we won't hesitate to use it." In the same month, Russian prosecutors revived the Aeroflot fraud investigation and Berezovsky was questioned as a witness. On 7 November 2000 Berezovsky, who was travelling abroad, failed to appear for further questioning and announced that he would not return to Russia because of what he described as "constantly intensifying pressure on me by the authorities and President Putin personally. Essentially," he said, "I'm being forced to choose whether to become a political prisoner or a political emigrant." Berezovsky claimed that Putin had made him a suspect in the Aeroflot case simply because ORT had "spoken the truth" about the sinking of the submarine Kursk. In early December his associate Nikolai Glushkov was arrested in Moscow and Berezovsky dropped the proposal to put ORT stake in trust. 2001 was the year of systematic takeover by the government of privately owned television networks, in the course of which Berezovsky, Gusinski and Patarkatsishvili lost most of their media holdings, prompting one of them to warn of Russia "turning into a banana republic" in a letter to The New York Times. In February, Berezovsky and Patarkatsishvili sold their stake in ORT to Roman Abramovich, who promptly ceded editorial control to the Kremlin. Berezovsky later claimed that there was a secret understanding that Nikolai Glushkov would be released from prison as part of that deal, a promise that was never fulfilled. In April, the government took control of Vladimir Gusinsky's NTV. Berezovsky then moved to acquire a controlling stake in a smaller network, TV-6, made Patarkatsishvili its Chairman, and offered employment to hundreds of locked out NTV journalists. Almost immediately, Patarkatshishvili became a target of police investigation and fled the country. In January 2002 a Russian arbitration court forced TV-6 (Russia) into liquidation. The liquidation of TV-6 was precipitated by LUKoil, a partly state-owned minority shareholder, using a piece of legislation that was almost immediately repealed. In 2001 Berezovsky and Patarkatsishvili ended their involvement in Sibneft for a US$1.3 billion fee from Roman Abramovich. This transaction was the subject of a later dispute in the UK commercial courts, with Berezovsky alleging that he had been put under pressure to sell his stake to Abramovich at a fraction of the true value, an allegation that the court rejected. In 2006 Berezovsky sold the Kommersant ("The Businessman") newspaper and his remaining Russian assets. From his new home in the UK, where he and associates including Akhmed Zakayev, Alexander Litvinenko and Alex Goldfarb became known as "the London Circle" of Russian exiles, Berezovsky publicly stated that he was on a mission to bring down Putin "by force" or by bloodless revolution. He established the International Foundation for Civil Liberties, to "support the abused and the vulnerable in society – prisoners, national minorities and business people" in Russia and criticized Putin's record in the West. Berezovsky launched a concerted campaign to expose alleged misdeeds of Vladimir Putin, from suppressing freedom of speech to committing war crimes in Chechnya. He also accused Russia's FSB security service of staging the Moscow apartment bombings of 1999 in order to help Putin win the presidency. Many of these activities were funded through the New York-based International Foundation for Civil Liberties directed by Berezovsky's friend Alex Goldfarb. Berezovsky bought a Belgravia flat, a house on Surrey's Wentworth Estate, and for a while owned the 172-acre Hascombe Court estate in Godalming. In 2012, he sold his Wentworth Estate house. On September 9, 2003, Berezovsky was granted refugee status and political asylum by the British Home Office. Alex Goldfarb, the head of the New York-based Foundation for Civil Liberties, which was funded by Berezovsky, said he was delighted by the news. On September 12, 2003, judge Timothy Workman of Bow Street Magistrates' Court in central London dropped extradition proceedings against Berezovsky, ruling that it would be pointless to pursue the case as the granting of asylum status to Berezovsky made the proceedings redundant. However, when Berezovsky told Reuters in early February 2006 that he was working on plans to overthrow Russian President Vladimir Putin, British Foreign Minister Jack Straw warned the London-based Russian tycoon not to plot against the Russian President while living in Britain. His refugee status could be reviewed if he continued to make such remarks. After Berezovsky gained political asylum in Britain, the Russian authorities vigorously pursued various criminal charges against him. This culminated in two trials in absentia. A Moscow trial in November 2007 found him guilty of embezzling nearly 215m roubles (£4.3m) from Aeroflot. The court said that in the 1990s Berezovsky was a member of an "organised criminal group" that stole the airline's foreign currency earnings. From London, Berezovsky called the trial, which sentenced him to six years in prison, 'a farce'. In June 2009, the Krasnogorsk City Court near Moscow sentenced Berezovsky to thirteen years imprisonment for defrauding AvtoVAZ for 58 million rubles (US$1.9 million) in the 1990s. Berezovsky was represented by a court-appointed lawyer. In spite of Berezovsky's successes in Britain in fighting off extradition requests and exposing Russian court convictions as politically motivated (see below), some other jurisdictions cooperated with Russian authorities in seizing his property and targeting his financial transactions as money laundering. Berezovsky succeeded in overturning some of these actions. In July 2007, Brazilian prosecutors issued an arrest warrant for Berezovsky in connection with his investment in the Brazilian football club Corinthians. However, a year later the Brazilian Supreme Court cancelled the order and stopped the investigation. On Russian requests, French authorities raided his villa in Nice in search of documents, and seized his two yachts parked on the French Riviera. However, some months later, the boats were released by a French court. Swiss prosecutors have been assisting their Russian colleagues for over a decade in investigating Berezovsky's finances. Berezovsky's meteoric enrichment and involvement in power struggles have been accompanied by allegations of various crimes from his opponents. After his falling out with Putin and exile to London, these allegations became the recurrent theme of official state-controlled media, earning him comparisons with Leon Trotsky and the Orwellian character Emmanuel Goldstein. In 1996 Forbes, an American business magazine, published an article by Paul Klebnikov entitled 'Godfather of the Kremlin?' with the kicker 'Power. Politics. Murder. Boris Berezovsky could teach the guys in Sicily a thing or two.' The article linked Berezovsky to corruption in the car industry, to the Chechen mafia and to the murder of Vladislav Listyev. In 2000, the House of Lords gave Berezovsky and Nikolai Glushkov permission to sue for libel in the UK courts. Given that only 2,000 of the 785,000 copies sold worldwide were sold in the United Kingdom, this led numerous scholars to cite the case as an example of libel tourism. The case slowly proceeded until the claimants opted to settle when Forbes offered a partial retraction. The following statement appended to the article on the Forbes website summarises: 'On 6 March 2003, the resolution of the case was announced in the High Court in London. Forbes stated in open court that (1) it was not the magazine's intention to state that Berezovsky was responsible for the murder of Listiev, only that he had been included in an inconclusive police investigation of the crime; (2) there is no evidence that Berezovsky was responsible for this or any other murder; (3) in light of the English court's ruling, it was wrong to characterize Berezovsky as a mafia boss; and (4) the magazine erred in stating that Glouchkov had been convicted for theft of state property in 1982. Klebnikov elaborated his allegations in his 2000 book Godfather of the Kremlin: Boris Berezovsky and the looting of Russia (the 2001 edition was titled Godfather of the Kremlin: The Decline of Russia in the Age of Gangster Capitalism). In 2006, a UK court awarded Berezovsky £50,000 in libel damages against the Russian private bank Alfa-Bank and its Chairman, Mikhail Fridman. Fridman had claimed on a Russian television programme that could be watched in the UK that Berezovsky had threatened him when the two men were competitors for control of the Kommersant publishing house, and that making threats was Berezovsky's usual way of conducting business. The jury rejected the defendants' claim that Fridman's allegations were true. In June 2006, The Guardian apologised to Berezovsky over an article published in 2005 about the Russia's attempt to have him extradited to face fraud charges in Russia. The article described Berezovsky as a "wanted defrauder of the Russian region of Samara". In a statement read out in open court, The Guardian accepted that granting him political asylum in 2003 meant that the British government had concluded that there were no "serious reasons for considering that he has committed a serious non-political crime" in Russia. The Guardian accepted that its description of Berezovsky was unjustified and apologised for its error. Berezovsky accepted the apology and withdrew his libel suit. In March 2010, Berezovsky, represented by Desmond Browne QC, won a libel case and was awarded £150,000 damages by the High Court in London over allegations that he had been behind the murder of Alexander Litvinenko. The allegations had been broadcast by the Russian state channel RTR Planeta in April 2007 on its programme Vesti Nedeli, which could be viewed from the UK. In his judgement judge David Eady stated: "I can say unequivocally that there is no evidence before me that Mr Berezovsky had any part in the murder of Mr Litvinenko. Nor, for that matter, do I see any basis for reasonable grounds to suspect him of it." Berezovsky had sued both the channel and a man called Vladimir Terluk, whom Mr Justice Eady agreed was the man who had been interviewed in silhouette by the programme under the pseudonym 'Pyotr'. Terluk had claimed that to further his UK asylum application Berezovsky had approached him to fabricate a murder plot against himself, and that Litvinenko knew of this. Mr Justice Eady accepted that Terluk had not himself alleged Berezovsky's involvement in the murder of Litvinenko, but considered that his own allegations were themselves serious and that there was no truth in any of them. As RTR did not participate in the proceedings, Terluk was left to defend the case himself, receiving significant assistance (as the judge noted) from the Russian prosecutor's office. The Guardian described the case as 'almost anarchic at times as officials from the Russian prosecutors' office repeatedly intervened despite not being party to proceedings. So obvious was their intention that when one of their mobile phones went off in court one day, Browne quipped: "That must be Mr Putin on the line." The defendants appealed to the Court of Appeal but the appeal was dismissed, Lord Justice Laws giving a judgment with which the Chancellor of the High Court and Lady Justice Rafferty agreed. The Lord Justice described a witness statement of Andrei Lugovoi, newly adduced by the defendants, as 'not sensibly capable of belief'. In 2011 Berezovsky brought a civil case against Roman Abramovich in the High Court of Justice in London, accusing Abramovich of blackmail, breach of trust and breach of contract, and seeking over £3 billion in damages. This became the largest civil court case in British legal history. Berezovsky's claimed past ownership of Sibneft – which constituted the bulk of his fortune – was put into question by Abramovich, who in a statement to the High Court in London asserted that Berezovsky had never owned shares in Sibneft, and that US$1.3 billion paid in 2001 ostensibly for his stake in the company was actually in recognition of Berezovsky's "political assistance and protection" during the creation of Sibneft in 1995. The hearings, which started on 3 October 2011, examined Berezovsky's US$5.5 billion claim against Abramovich for damages arising from the sale of his assets under alleged "threats and intimidation". The Daily Mail reported that Berezovsky only succeeded in serving a writ on Abramovich when both men happened to be shopping on Sloane Street, with Berezovsky dashing from Dolce and Gabbana to confront Abramovich in Hermes. On 31 August 2012, the High Court found for Abramovich. The High Court judge stated that because of the nature of the evidence, the case hinged on whether to believe Berezovsky or Abramovich's evidence. In her ruling, the judge observed: "On my analysis of the entirety of the evidence, I found Mr. Berezovsky an unimpressive, and inherently unreliable, witness, who regarded truth as a transitory, flexible concept, which could be moulded to suit his current purposes... I regret to say that the bottom line of my analysis of Mr. Berezovsky’s credibility is that he would have said almost anything to support his case. ":16–18 She ruled that the monies paid represented a final payment in discharge of all obligations. In recent years, Berezovsky conducted business with Neil Bush, the younger brother of the US President George W. Bush. Berezovsky was an investor in Bush's Ignite! Learning, an educational software corporation, since at least 2003. In 2005, Neil Bush met with Berezovsky in Latvia, causing tension with Russia due to Berezovsky's fugitive status. Neil Bush was also seen with Berezovsky's box at an Arsenal F.C. match at the Emirates Stadium in London. There had been speculation that the relationship might have become a cause of tension in Russo-American bilateral relations. Berezovsky gave £320,000 to a company run by Prince Michael of Kent's private secretary between 2002 and 2008. The prince's spokesman said the money funded 'cultural and charitable activities'. It had been speculated that Berezovsky's wealth may have been depleted with the onset of the late 2000s recession. According to the Sunday Times Rich List, in 2011 his net worth was about US$900 million. In September 2005, Berezovsky said in an interview with the BBC: "I'm sure that Putin doesn't have the chance to survive, even to the next election in 2008. I am doing everything in my power to limit his time frame, and I am really thinking of returning to Russia after Putin collapses, which he will." In January 2006, Berezovsky stated in an interview to a Moscow-based radio station that he was working on overthrowing the administration of Vladimir Putin by force. Berezovsky also publicly accused Putin of being "a gangster" and the "terrorist number one". On 13 April 2007, in an interview with The Guardian, Berezovsky declared that he was plotting the violent overthrow of President Putin by financing and encouraging coup plotters in Moscow: "We need to use force to change this regime. It isn't possible to change this regime through democratic means. There can be no change without force, pressure." He also admitted that during the last six years he had struggled hard to "destroy the positive image of Putin" and said that "Putin has created an authoritarian regime against the Russian constitution.... I don't know how it will happen, but authoritarian regimes only collapse by force." Berezovsky said he had dedicated much of the last six years to "trying to destroy the positive image of Putin" held by many in the West by portraying him whenever possible as a dangerously anti-democratic figure. Soon after Berezovsky's 2007 statement, Garry Kasparov, a significant figure in the opposition movement The Other Russia and leader of the United Civil Front, wrote the following on his website: "Berezovsky has lived in emigration for many years and no longer has significant influence upon the political processes which take place in Russian society. His extravagant proclamations are simply a method of attracting attention. Furthermore, for the overwhelming majority of Russian people he was a political symbol of the 90s, one of the "bad blokes" enriching themselves behind the back of president Yeltsin. The informational noise around Berezovsky was specifically beneficial for the Kremlin, which was trying to compromise Russia's real opposition. Berezovsky has not had and does not have any relation to Other Russia or the United Civil Front." Berezovsky responded in June 2007 by saying that "there is not one significant politician in Russia whom he has not financed" and that this included members of Other Russia. The managing director of the United Civil Front, in turn, said that the organization would consider suing Berezovsky over these allegations, but the lawsuit has never been brought before the court. The Russian Prosecutor General's Office had launched a criminal investigation against Berezovsky to determine whether his comments could be considered a "seizure of power by force", as outlined in the Russian Criminal Code. If convicted, an offender faces up to twenty years imprisonment, however Berezovsky is now deceased. The British Foreign Office denounced Berezovsky's statements, warning him that his status of a political refugee might be reconsidered, should he continue to make similar remarks. Furthermore, Scotland Yard had announced that it would investigate whether Berezovsky's statements violated the law. However, in the following July, the Crown Prosecution Service announced that Berezovsky would not face charges in the UK for his comments. Kremlin officials called it a "disturbing moment" in Anglo-Russian relations. In September 2005 the former president of Ukraine Leonid Kravchuk accused Berezovsky of having financed Viktor Yushchenko's 2004 Ukrainian presidential election campaign, and provided copies of documents showing money transfers from companies he claimed were controlled by Berezovsky to companies controlled by Yuschenko's official backers. Berezovsky confirmed that he met Yushchenko's representatives in London before the election, and that the money was transferred from his companies, but he refused to confirm or deny that the companies that received the money were used in Yushchenko's campaign. Financing of election campaigns by foreign citizens is illegal in Ukraine. In November 2005 Berezovsky also claimed he had heavily financed Ukraine's Orange Revolution (that had followed the presidential election). In September 2007, Berezovsky launched lawsuits against two Ukrainian politicians, Oleksandr Tretyakov, a former presidential aid, and David Zhvaniya, a former emergencies minister. 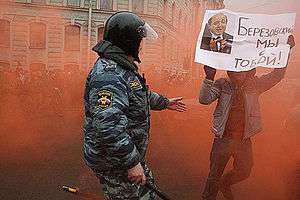 Berezovsky was suing the men for nearly US$23 million, accusing them of misusing the money he had allocated in 2004 to fund the Orange Revolution. Yushchenko has denied Berezovsky financed his election campaign. Berezovsky called on Ukrainian business to support Yushchenko in the 2010 presidential election of January 2010 as a guarantor of debarment of property redistribution after the election. On 10 December 2009 the Ukrainian minister of interior affairs Yuriy Lutsenko stated that if the Russian interior ministry requested it Berezovsky would be detained upon arriving in Ukraine. In October 2005, Latvian Prime Minister Aigars Kalvitis signed a decree placing Boris Berezovsky on the list of persona non grata. The exact reasons for blacklisting Berezovsky were not disclosed. Kalvitis called Berezovsky a "threat" to national security. Previously, the National Security Council of Latvia took the decision to recommend that exiled Russian billionaire Boris Berezovsky be barred from traveling to Latvia. The decision to bar the one-time Russian oligarch came swiftly after Berezovsky's trip to Riga in September 2005. Berezovsky was in Riga along with Neil Bush, the brother of the U.S. president, to discuss a project with Latvian businessmen. The Baltic News Service quoted the former Russian oligarch as saying that he believes Latvia's decision to declare him persona non grata was the result of intense pressure by Russia and structures linked with George Soros, the U.S. business magnate who has had acrimonious relations with Berezovsky. Kalvitis however denied the theory that the banning came on pressure from the Kremlin or the White House. According to Alexander Litvinenko, a Russian Foreign Intelligence Service (SVR) agent in London was preparing to assassinate Berezovsky with a binary weapon in September 2003. This alleged plot was reported to British police. Hazel Blears, then a Home Office Minister, said that inquiries made [into these claims] were "unable to either substantiate this information or find evidence of any criminal offences having been committed". In June 2007 Berezovsky said he fled Britain on the advice of Scotland Yard, amid reports that he was the target of an assassination attempt by a suspected Russian hitman. On 18 July 2007, the British tabloid The Sun reported that the alleged would-be assassin was captured by the police at the Hilton Hotel in Park Lane. They reported that the suspect, arrested by the anti-terrorist police after being tracked for a week by MI5, was deported back to Russia when no weapons were found and there was not enough evidence to charge him with any offence. In addition, they said British police placed a squad of uniformed officers around Akhmed Zakayev's house in north London, and also phoned Litvinenko's widow, Marina, to urge her to take greater security precautions. Russia's ambassador to the UK, Yuri Fedotov, said he was not aware of any such plot and told BBC Radio 4's Today programme there was "nothing that could confirm" the plot, although British police did confirm that they had arrested a suspect in an alleged murder plot. Berezovsky said he was told the assassin would be someone he knew, who would shoot him in the head and then surrender to the police. He again accused Vladimir Putin of being behind a plot to assassinate him. The Kremlin has denied similar claims in the past. According to The Guardian, there is speculation that Berezovsky leaked details of the alleged attempt to kill him to the media to antagonise Moscow, once the British authorities had returned the suspected hitman to Moscow. The timing of the story has also been seen as suspicious, coming in the middle of a row over Britain's attempts to charge a Russian businessman and former security agent, Andrei Lugovoi, with Litvinenko's murder. According to the interview given by a high-ranking British security official on BBC Two in July 2008, the alleged Russian agent, known as "A", was of Chechen nationality. He was identified by Kommersant as the Chechen mobster Movladi Atlangeriyev; after returning to Russia, Atlangeriyev was forcibly disappeared in January 2008 by unknown men in Moscow. Alexander Litvinenko, one of Berezovsky's closest associates, was murdered in London in November 2006 with a rare radioactive poison, Polonium 210. The British authorities charged a former FSB officer and head of security at ORT, Andrey Lugovoy, with the murder and requested his extradition, which Russia refused. Several Russian diplomats were expelled from UK over the case. The UK government has not publicly expressed a view on the matter, but allegations that the murder was sponsored by the Russian state have been expressed by "sources in the UK government", according to the BBC, and by officials of the US Department of State, as revealed by Wikileaks; they were reflected in a 2008 resolution by the US Congress. The intricate details of the murder, the relationship between Litvinenko and Berezosvsky, and the implications of the case have been described in the 2007 book, "Death of a Dissident — The Poisoning of Alexander Litvinenko and the Return of the KGB" by Alex Goldfarb with Marina Litvinenko. An alternative theory – that the murder was orchestrated by Berezovsky with the aim of "framing" the Russian government and discrediting it on the global stage – has been aired in the Russian state-funded media, by Lugovoy, by Litvinenko's Italy-based father and by Russian officials. Berezovsky won a UK libel suit against Russian State Television over these allegations in 2010 (see above), following which he commented, "I trust the conclusions of the British investigators that the trail leads to Russia and I hope that one day justice will prevail." Russian State-funded media continue to report the claims e.g. "'Berezovsky killed my son', Litvinenko's dad tells Scotland Yard" as of May 2012. In the evening of Tuesday, 12 February 2008, Georgia's richest man, billionaire Arkady "Badri" Patarkatsishvili, a close friend and long-time business partner of Boris Berezovsky, collapsed and died in his bedroom after a family dinner at Downside Manor, his mansion in Leatherhead, Surrey, England, at the age of 52. Patarkatsishvili, who as a presidential candidate had also been campaigning to oust Georgia's President Mikhail Saakashvili, spent his last day in the City of London office of international law firm Debevoise and Plimpton, preparing along with his lawyer Lord Goldsmith QC and fellow exiles, the Russians Nikolai Glushkov and Yuli Dubov, his defence against allegations from the Georgian government that he had plotted a coup against Saakashvili. These allegations included plans to murder a government official and commit terrorist acts. At 4pm, the group was joined by Patarkatsishvili's public relations adviser Lord Tim Bell and by his close friend Boris Berezovsky. The talks went on for an hour, during which Patarkatsishvili complained of feeling unwell. Patarkatsishvili then left the City at 5pm and travelled to the office building on Down Street in Mayfair he shared with Berezovsky. Two hours later, at about 7pm, he set out on the 16-mile journey to Leatherhead in his chauffeur-driven Maybach. Shortly after dining at Downside Manor, Patarkatsishvili told his family he felt unwell and went upstairs to his bedroom where he was found unconscious after a heart attack. Resuscitation attempts were unsuccessful. As in any other case of unexpected death, Surrey police treated the case as "suspicious" and launched an official investigation. Preliminary reports indicated a heart attack as the cause of death. Boris Berezovsky commented on the death of his closest friend as "a terrible tragedy". On 23 March 2013, Berezovsky was found dead at his home, Titness Park, at Sunninghill, near Ascot in Berkshire. His body was found by a bodyguard in a locked bathroom, with a ligature around his neck. His death was announced in a post on Facebook by his son-in-law. Alexander Dobrovinsky, a lawyer who had represented Berezovsky, wrote that he may have committed suicide, adding that Berezovsky had fallen into debt after losing a protracted lawsuit against Roman Abramovich, and had spent the final few months of his life selling his possessions to cover his court costs. Berezovsky was also said to have recently been depressed and to have isolated himself from friends. He reportedly suffered from depression and was taking antidepressant drugs; a day prior to his death he told a reporter in London that he had nothing left to live for. When Berezovsky's death became known, there was speculation by mainstream British news media that Moscow might be somehow involved. The Thames Valley Police classified his death as "unexplained" and launched a formal investigation into the circumstances behind it. Specialists in chemical, biological, radiological and nuclear materials were deployed to Berezovsky's home as a "precaution". These specialists later "found nothing of concern". A post-mortem examination carried out by the Home Office pathologist found the cause of death was consistent with hanging and there was nothing pointing to a violent struggle. However following an inquest into the death in March 2014 the coroner, Mr Peter Bedford, recorded an open verdict commenting, "I am not saying Mr Berezovsky took his own life, I am not saying Mr Berezovsky was unlawfully killed. What I am saying is that the burden of proof sets such a high standard it is impossible for me to say." Berezovsky was buried on 8 May 2013 in a private ceremony at Brookwood Cemetery in Surrey. The burial timing had been changed on several occasions to try to avoid interest from the Russian media. "I said that they will publish it and you will look bad. And that it won’t help. He answered that it was all the same to him, that in any case all sins were blamed on him and that this was his only chance." It was claimed by anonymous sources that rival Roman Abramovich delivered the letter to Putin personally, having received an apology from Berezovsky himself. Both Putin's chief of staff, Sergei Ivanov, and Abramovich's spokesman alluded to the letter being passed by a "certain person", but did not go into details due to the personal nature of the issue. Berezovsky was a doctor of technical sciences, and author of more than 100 academic papers and studies such as "Binary relations in multi-criteria optimizations" and "Multi-criteria optimization: mathematical aspects". Aside from his academic publications, Berezovsky frequently authored articles and gave interviews; these are collected in The Art of the Impossible (3 vols.). He continued to contribute articles while in exile, taking a highly critical view of Russia's political leaders. Yuli Dubov, a close business associate of Berezovsky, wrote a novel based on Berezovsky's life which provided the basis for the 2002 film Tycoon. Like Berezovsky, he fled to London and successfully fought extradition to Russia. Judge Timothy Workman of Bow Street Magistrates' Court in central London dropped extradition proceedings against Yuly Dubov in October 2003. Alex Goldfarb, a microbiologist and activist who became acquainted with Berezovsky in the 1990s and later worked for him, provides snapshots of Berezovsky at crucial moments as background to his 2007 account of the Litvinenko murder case, co-written with Marina Litvinenko, Death of a Dissident: The Poisoning of Alexander Litvinenko and the Return of the KGB. David E. Hoffman of The Washington Post wrote The Oligarchs: Wealth and Power in the New Russia, which provides a comparative treatment of Berezovsky and several of his fellow so-called business oligarchs. Ben Mezrich wrote Once Upon a Time in Russia: The Rise of the Oligarchs—A True Story of Ambition, Wealth, Betrayal, and Murder, which provides a comparative narrative of Berezovsky and Roman Abramovich through their careers, friendship, and ultimate rivalry. A documentary about Berezovsky's efforts to undermine Putin from his exile in UK was shown on the BBC in December 2005. 1 2 Finnerty, Joe (10 May 2013). "Russian tycoon buried at Brookwood Cemetery". Surrey Advertiser. Guildford. Retrieved 11 November 2015. 1 2 Pomerantsev, Peter (25 April 2013). "Berezovsky's Last Days". London Review of Books. 35 (8): 38–39. Retrieved 2 January 2015. ↑ Arnold, James (26 March 2003). "'No regrets' for tarnished tycoon". BBC News. Retrieved 3 January 2015. ↑ Bowcott, Owen (22 July 2011). "Boris Berezovsky pays out £100m in UK's biggest divorce settlement". The Guardian. London. Retrieved 3 January 2015. ↑ Shirbon, Estelle (24 January 2013). "Berezovsky battles in court with ex-partner over assets". Reuters/Yahoo News. Retrieved 24 March 2013. ↑ "Berezovsky court saga: Oligarch sued by ex-lover demanding millions". Russia Today. 24 January 2013. Retrieved 24 March 2013. ↑ Hoffman, David E. (13 September 2011). The Oligarchs: Wealth and power in the new Russia. New York: PublicAffairs. p. 130. ISBN 9781610390705. Retrieved 9 January 2012. ↑ Barrett, David (23 March 2013). "Russian oligarch Boris Berezovsky found dead in his bath". The Daily Telegraph. London. Retrieved 23 March 2013. ↑ Elder, Miriam (11 September 2011). "Cameron meeting Putin is a 'historical mistake', says exiled Russian tycoon". The Guardian. London. Retrieved 17 October 2011. ↑ "The Prosecutor Digs in the Dirt – Kommersant Moscow". Kommersant.com. Retrieved 17 October 2011. 1 2 Parfitt, Tom (30 November 2007). "Berezovsky jailed in absentia". The Guardian. London. Retrieved 26 April 2012. ↑ "Berezovskiy, Boris". Interpol. 1999. Retrieved 3 January 2015. ↑ "Russia and Britain: A love-hate relationship". The Economist. 19 January 2008. Retrieved 17 October 2011. ↑ "Boris Berezovsky". The Times. London. Retrieved 17 October 2011. 1 2 3 4 Cobain, Ian; Taylor, Matthew; Harding, Luke (13 April 2007). "'I am plotting a new Russian revolution'". The Guardian. London. Retrieved 3 January 2015. ↑ Mueller, Andrew (3 December 2005). "What a carve-up!". The Guardian. London. Retrieved 3 January 2015. ↑ McDermott, Roger. "Duma Seat Winner Berezovsky Sees Possibility Of "Consolidation of Power."". Jamestown.org. Retrieved 17 October 2011. ↑ Gentleman, Amelia (18 July 2000). "Tycoon resigns from duma as relations with Kremlin cool". The Guardian. London. Retrieved 17 October 2011. 1 2 3 "Berezovsky loses Abramovich claim". Press Association. 31 August 2012. Archived from the original on 1 September 2012. Retrieved 31 August 2012. 1 2 "Roman Abramovich wins court battle against Berezovsky". BBC. 31 August 2012. Retrieved 31 August 2012. 1 2 3 4 Executive Summary of the Full Judgment of Gloster J in Berezovsky v Abramovich (PDF) (Report). High Court of Justice. 31 August 2012. Berezovsky v Abramovich Action 2007 Folio 942. Archived from the original (PDF) on 5 September 2012. Retrieved 31 August 2012. 1 2 Peck, Tom (31 August 2012). "Berezovsky humbled by verdict that leaves reputation in tatters". The Independent. London. Retrieved 1 September 2012. ↑ Edwards, Anna; Verkaik, Robert; Williams, Amanda (23 March 2013). "Another Kremlin enemy dies: Exiled Russian oligarch Boris Berezovsky found dead in bath at Berkshire house after 'losing all his millions'". Daily Mail. London. Retrieved 23 March 2013. 1 2 Mark Townsend and Simon Goodley (23 March 2013). "Boris Berezovsky found dead". The Guardian. London. 1 2 "Berezovsky death consistent with hanging: police". Reuters. 25 March 2013. Retrieved 26 March 2013. 1 2 "Boris Berezovsky inquest: Coroner records open verdict". BBC News. 27 March 2014. Retrieved 3 January 2015. ↑ Vadim Joseph Rossman and the Vidal Sassoon International Center for the Study of Antisemitism. Russian Intellectual Antisemitism in the Post-Communist Era (2002). University of Nebraska Press: pp. 120–1. ↑ "The Moscow Times". Themoscowtimes.com. Retrieved 23 March 2013. ↑ "Battle of the oligarchs... the amazing showdown between Roman Abramovich and his arch rival". Daily Mail. London. 6 October 2007. Retrieved 23 March 2013. ↑ Gardham, Duncan (19 July 2007). "Profile: Boris Berezovsky". The Daily Telegraph. London. Retrieved 23 March 2013. 1 2 "Boris Berezovsky Profile". The Moscow Times. 1 2 Ireland, R.D. ; Hoskisson, R.E. ; Hitt, M.A. (2005). Understanding business strategy: concepts and cases, pp. 142–144. South-Western College Pub. ISBN 978-0-324-28246-7. Lay summary. ↑ "AvtoVAZ". Auto-worldwide.com. Retrieved 11 August 2011. ↑ "AvtoVAZ". RussiaToday. Archived from the original on 27 September 2011. Retrieved 11 August 2011. ↑ "AVTOVAZ Joint Stock Company". fundinguniverse. Retrieved 11 August 2011. ↑ Specter, Michael (10 June 1994). "New Moscow Mob Terror: Car Bombs". The New York Times. Retrieved 3 January 2015. 1 2 3 4 Goldfarb, Alex; Litvinenko, Marina. Death of a Dissident: The Poisoning of Alexander Litvinenko and the Return of the KGB. New York: Free Press. ISBN 9781416551652. Lay summary (28 December 2008). ↑ "World News Briefs; Russian TV Chief Resigns in Protest". The New York Times. 17 March 1995. Retrieved 3 January 2015. ↑ Stanley, Alessandra (3 March 1995). "Celebrity's Killing Stirs Talk of Intrigue in Russia". The New York Times. Retrieved 3 January 2015. ↑ "Investigation into Vlad Listyev's murder suspended 3 years ago - source". Russia Today. 21 April 2009. Retrieved 3 January 2015. ↑ Stanley, Alessandra (26 July 1995). "Russian State TV Channel Says Let's Make a Deal". The New York Times. Retrieved 3 January 2015. ↑ Goldman, Marshall I. (2008). Petrostate: Putin, Power and the New Russia. Oxford University Press. p. 65. ISBN 978-0-19-534073-0. 1 2 3 4 "Abramovich Wins Battle of Oligarchs Over 'Unreliable' Berezovsky". Bloomberg/Washington Post. 31 August 2012. Retrieved 31 August 2012. ↑ Volodarsky, Boris (2010). The KGB's Poison Factory: From Lenin to Litvinenko. Zenith Press. ISBN 978-0-7603-3753-0. 1 2 3 4 5 Stanley, Alessandra (14 June 1997). "A Russian's Rise From Car Dealer to Tycoon". The New York Times. Retrieved 3 January 2015. ↑ Cowell, Alan (28 January 2007). "Russians work on their image at Davos". International Herald Tribune. Retrieved 3 January 2015. ↑ Soros, George (17 April 2000). "The means to an end". The Guardian. London. Retrieved 3 January 2015. ↑ Harding, Luke (2 July 2007). "The richer they come ...". The Guardian. London. Retrieved 3 January 2015. ↑ Stanley, Alessandra (28 June 1996). "In the Kremlin, Chickens Still Come Home to Roost". The New York Times. Retrieved 3 January 2015. ↑ "Yeltsin Purges 3 Kremlin Hard-liners The Power Struggle Threatened To Disrupt The July 3 Election. Among Those Sacked Was His Closest Adviser. – Page 2". Articles. 21 June 1996. Retrieved 17 October 2011. ↑ Allison, Graham T.; Lantz, Matthew (1996). Assessing Russia's Democratic Presidential Election. John F. Kennedy School of Government. Harvard University. ↑ Stanley, Alessandra (18 October 1996). "A General on His Own". The New York Times. Retrieved 3 January 2015. ↑ Stanley, Alessandra (31 October 1996). "Big Business And Kremlin: Togetherness Has Its Pitfalls". The New York Times. Retrieved 3 January 2015. ↑ "Hostages taste freedom" BBC News 21 September 1998. 1 2 Yeltsin, Boris (2000). "Midnight Diaries" Memoir (translated by Catherine A. Fitzpatrick). New York: PublicAffairs. ISBN 978-1-58648-011-0. 1 2 Soros, George. "Berezovsky. Putin. West. Bitter Thoughts with Faith in Russia". mn.ru. Moskovsky Novosti. Archived from the original on 29 February 2012. Retrieved 6 October 2014. ↑ Fossato, Floriana; Baker, Stephanie (9 August 1997). "Russia: Yeltsin Pledges Fair Privatization -- An Analysis". rferl.org. Radio Free Europe/Radio Liberty. Retrieved 6 October 2014. ↑ Stanley, Alessandra (17 November 1997). "Russian Reformer's Credibility Undercut by Scandal". The New York Times. Retrieved 7 October 2014. ↑ Fossato, Floriana (9 November 1997). "Russia: Berezovsky's Sacking May Be A Temporary Victory For Adversaries". rferl.org. Radio Free Europe/Radio Liberty. Retrieved 6 October 2014. ↑ Prilepin, Zakhar (12 April 2013). "Boris Berezovsky: Fade to Black". rbth.ru. Russia Beyond The Headlines. Retrieved 7 October 2014. ↑ Dmitry Zaks (April 30, 1998). "Berezovsky Back as Chief of CIS". The Moscow Times. Retrieved July 24, 2015. ↑ "Yeltsin daughter helped plot cabinet sacking". Irish Independent. Dublin. 25 March 1998. Retrieved 3 January 2015. 1 2 3 4 Paddock, Richard C. (5 January 2000). "Putin Says He Tried to Dissuade Yeltsin". Los Angeles Times. Retrieved 11 November 2015. 1 2 3 Baker Peter and, Glasser Susan (2005). Kremlin Rising: Vladimir Putin's Russia and the End of Revolution. New York: Simon&Schuster. pp. 52–53. ISBN 978-0-7432-8179-9. ↑ Bohlen, Celestine (15 December 1999). "Moscow's Mayor Fights On Against Foes in High Places". The New York Times. Retrieved 3 January 2015. ↑ Wines, Michael (11 May 2000). "Russia's New Prime Minister: A Tested Economic Liberal". The New York Times. Retrieved 3 January 2015. ↑ Cockburn, Patrick (18 July 2000). "Berezovsky quits Duma at 'ruining of Russia'". The Independent. London. Retrieved 3 January 2015. ↑ "Berezovsky will appear for questioning in the Aeroflot case". Monitor. Washington: The Jamestown Foundation. 16 October 2000. Retrieved 11 August 2011. ↑ "Aeroflot director accused of fraud.". Monitor. Washington: The Jamestown Foundation. 8 December 2000. Retrieved 11 August 2011. ↑ "Independent Russian TV shut down". BBC News. 11 January 2002. Retrieved 3 January 2015. ↑ Wines, Michael (23 January 2002). "Russians Find Suspicions Fly As Network Goes Off Air". The New York Times. Retrieved 3 January 2015. ↑ Allen, Nick (18 April 2008). "Boris Berezovsky sues Roman Abramovich for £2bn at London court". The Daily Telegraph. London. Retrieved 3 January 2015. ↑ Belton, Catherine (22 February 2006). "Berezovsky Sells Remaining Russian Assets". The St. Petersburg Times. Archived from the original on 1 March 2014. ↑ Gentleman, Amelia (21 December 2000). "Oligarch hits out at his Kremlin monster". The Guardian. London. Retrieved 3 January 2015. ↑ "Images of Genocide in Chechnya Distributed at US Congress on the Eve of Putin-Bush Talks". Hot. Retrieved 17 October 2011. ↑ Norwood, Graham (28 February 2004). "Moscow on the Thames". The Daily Telegraph. London. Retrieved 1 September 2012. ↑ "Boris Berezovsky and Putin's Catch 22". Barricades. 23 February 2004. Retrieved 17 October 2011. ↑ Andrei Piontkovsky (4 May 2001). "Season of Discontent: Are you for Putin or Berezovsky?". The Russia Journal. Retrieved 17 October 2011. ↑ Crook, Tim (2010). "Defamation law". Comparative media law and ethics. Taylor & Francis. pp. 240–241. ISBN 0-415-55161-7. ↑ Taylor, Daniel C. (November 2010). "Libel Tourism: Protecting Authors and Preserving Comity" (PDF). Georgetown Law Journal. Georgetown University. 99: 194. ISSN 0016-8092. Retrieved 23 September 2011. 1 2 Pidd, Helen (10 March 2010). "Boris Berezovsky wins libel case over Litvinenko murder". The Guardian. London. ↑ "US Department of State seriously interested in Russian oligarch in disgrace, Boris Berezovsky". Pravda. 19 August 2005. Retrieved 6 January 2012. 1 2 Godfather of the Kremlin: Boris... – Paul Klebnikov – Google Books. Google Books. Retrieved 17 October 2011. 1 2 Godfather of the Kremlin: The... – Paul Klebnikov – Google Books. Google Books. Retrieved 17 October 2011. ↑ "Approved Judgment of Vladimir Terluk v. Boris Berezovsky" (PDF). Royal Courts of Justice. 15 December 2011. Retrieved 7 October 2014. ↑ Duncan Gardham (31 August 2012). "Abramovich wins biggest private court case in history". The Daily Telegraph. London. Retrieved 31 August 2012. ↑ Neate, Rupert (23 February 2011). "Chelsea FC owner Roman Abramovich set for court showdown with Boris Berezovksy over Sibneft". The Daily Telegraph. London. ↑ Greenhill, Sam (13 May 2012). "So why did a controversial Russian oligarch give Queen's cousin Prince Michael £320,000 through offshore companies?". Daily Mail. London. ↑ "The Sunday Times Rich List 2012". The Richest. Retrieved 17 October 2011. ↑ (Russian) Новые подробности по Маршу несогласных. ↑ Osborn, Andrew (12 November 2005). "Berezovsky 'funded revolution'". The Independent. London. Retrieved 3 January 2015. 1 2 Doward, Jamie (22 July 2007). "Police feared assassination for two Russian dissidents". The Observer. London. Retrieved 3 January 2015. ↑ Harding, Luke (1 December 2010). "WikiLeaks cables: Alexander Litvinenko murder 'probably had Putin's OK'". The Guardian. London. ↑ "Expressing the Sense of Congress Regarding Alexander Litvinenko" Congressional Record 1 April 2008, Page H1839–H1841. ↑ Goldfarb A, Litvinenko M (2007). Death of a Dissident — The Poisoning of Alexander Litvinenko and the Return of the KGB. Free Press. pp. 1–369. ISBN 1416551654. 1 2 "'Berezovsky killed my son', Litvinenko's dad tells Scotland Yard — RT News". Rt.com. 31 May 2012. Retrieved 23 March 2013. 1 2 3 Robert Booth (February 14, 2008). "I am a target: police probe death of billionaire who warned of assassination". The Guardian. ↑ Gus Garcia-Roberts (November 17, 2011). "Russian billionaires battle for Fisher Island". Miami New Times. ↑ "Georgia tycoon death 'suspicious'". BBC News. 2008-02-13. Archived from the original on 17 February 2008. Retrieved 2008-02-13. ↑ "Boris Berezovsky 'found with ligature around his neck'". BBC News. 28 March 2013. ↑ Sawer, Patrick; Parfitt, Tom (31 March 2013). "Boris Berezovsky: 'My friend Boris would not have taken his own life'". The Daily Telegraph. London. ↑ Smith, Matt; Holly Yan (25 March 2013). "Russian tycoon's death 'consistent with hanging'". CNN. Retrieved 25 March 2011. ↑ Herszenhorn, David M. (23 March 2013). "Russian Oligarch and Sharp Critic of Putin Dies in London". The New York Times. Retrieved 23 March 2013. 1 2 "UK police probe death of Russian oligarch Berezovsky". ABC News. Australian Broadcasting Corporation. 24 March 2013. Retrieved 24 March 2013. ↑ "Умер Борис Березовский". Gazeta.ru. 23 March 2013. ↑ "Russian tycoon Boris Berezovsky found dead". BBC News. 23 March 2013. Retrieved 23 March 2013. ↑ Behar, Richard (24 March 2013). "Did Boris Berezovsky Kill Himself? More Compelling, Did He Kill Forbes Editor Paul Klebnikov". Forbes. Archived from the original on 23 May 2013. Retrieved 23 May 2013. ↑ Adomanis, Mark (26 March 2013). "Was Boris Berezovsky Murdered? The Evidence Strongly Suggests No, But Luke Harding Says Maybe!". Forbes. Archived from the original on 29 March 2013. Retrieved 30 March 2013. ↑ "No radiation found in Berezovsky home". ABC News. 25 March 2013. Retrieved 25 March 2013. ↑ "Post-mortem shows Russian tycoon died from hanging". Associated Press. Retrieved 26 March 2013. ↑ "Oligarchs as Nation's Saviors? Berezovsky Justifies Himself". The St. Petersburg Times. 20 October 2000. Archived from the original on 22 October 2012. Retrieved 17 October 2011. ↑ Berezovsky, Boris (6 November 2003). "The West should realise that Putin is becoming a dictator". The Daily Telegraph. London. Retrieved 17 October 2011. ↑ Berezovsky, Boris (15 May 2007). "Why modern Russia is a state of denial". The Daily Telegraph. London. Retrieved 17 October 2011. 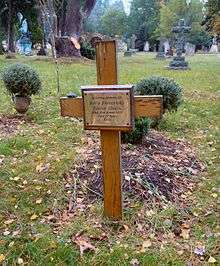 ↑ "Obituary: Paul Klebnikov". The Economist. 15 July 2004. Retrieved 17 October 2011. ↑ Rainsford, Sarah (9 October 2003). "Tycoons' asylum angers Moscow". BBC News. Retrieved 17 October 2011. ↑ "Britain Grants Political Asylum To Russian Fugitive Yuli Dubov | 2567877". Gettyimages.co.uk. 7 October 2003. Retrieved 17 October 2011. ↑ Wagner, Thomas (8 October 2003). "After Berezovsky, Dubov Granted Asylum in U.K.". themoscowtimes.com. Retrieved 25 December 2015. ↑ The oligarchs: wealth and power in the New Russia – David Hoffman – Google Books. Google Books. Retrieved 17 October 2011. ↑ Once Upon a Time in Russia The Rise of the Oligarchs—A True Story of Ambition, Wealth, Betrayal, and Murder. Simon & Schuster. Retrieved 3 September 2015. ↑ Nancy Banks-Smith (9 December 2005). "Last night's TV: Russian Godfathers". The Guardian. London. Retrieved 17 October 2011. ↑ "The Glazunov Gallery – Sights in Moscow". Roughguides.com. Archived from the original on 13 November 2011. Retrieved 17 October 2011. Wikimedia Commons has media related to Boris Berezovsky (businessman).